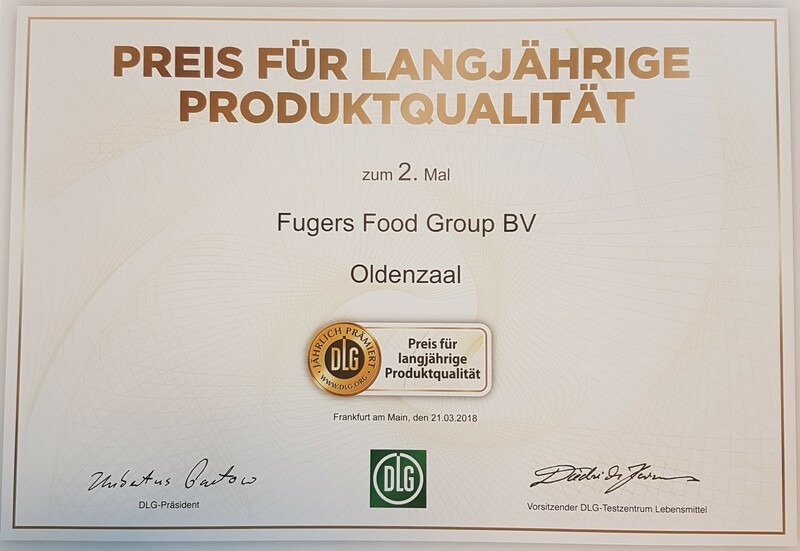 On a yearly basis, FFG has several products tested by the DLG (Deutsche Landwirtschafts-Gesellschaft). This organisation inspects foodstuffs based on appearance, aroma, taste and composition. The initiative for this annual inspection comes from the retailer. This year, we have won the price for ongoing product quality for the second time. You can image that we are very proud of that achievement!